GUST as a sudden strong wind. This bike couldn't have a better name. Central engine, robust construction and premium power on road and off road - That is the new trekking bike AGOGS GUST. Women and men versions. Frame sizes: 17", 19" and 21". Load capacity up to 150 kg. 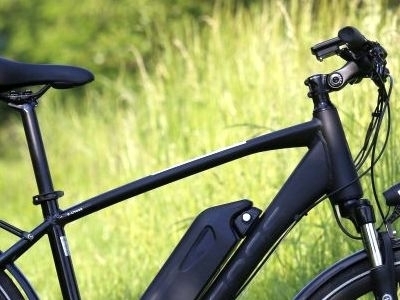 Brand new central engine - Bafang MODEST Drive system - made for trekking e-bikes. The capacity of frame battery with LG chem cell is 600Wh (16Ah). Fast-charger included. Unique BOOST button with 3 function - first time on a central engine model. Perfectly readeable LCD display is protected by a stand and remotely controlled from the handle. Price: only 42.990 Kč includiing VAT. AGOGS GUST - Ebike that was worth the wait.